Our first experience with a cleaning service provider was with Cleaning Streatham. We wanted to have thorough home cleaning done. The wall and curtain stains had been an eyesore for too long. The capable team completed the work diligently and answered our queries as well. They also offered some tips for the everyday upkeep. Appreciate the good work. I was diagnosed with arthritis a few months ago and I have been showing the symptoms for at least one year now. Over the past year, my house got in a terrible state of mess so when I received the diagnosis a few days ago, I decided that it was high time I hired a cleaner to take care of the grime and dirt that had gathered up around me. I called StreathamCleaners, they were very amiable and the cleaner they sent is absolutely fabulous at what she does! Brilliant service providers for sure! Must say that I was a bit dubious about whether I would really need to hire in the cleaners which people had suggested to me. I'd been saying for a while how it was getting harder and harder to find the time in which to get everything done and - independently of one another - a few people recommended StreathamCleaners. Well, with such glowing reviews, I had to give them a call. Very impressed, all round. Will now certainly be getting in touch with them when I need a bit more help and can definitely see this becoming a regular thing. I always call StreathamCleaners to come clean my house, especially because their team has great time sense. I work from home and on a tight schedule, so I usually can't afford too much time to look over the cleaning work. 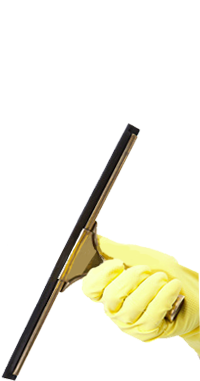 The cleaners from the company always arrive on time and finish their job within the time allotted. But that doesn't mean that they leave any cleaning undone. Every inch is thoroughly attended to and I have never had one complain about their work. I am definitely recommending this company to everyone I know! They do a great job! Since I started living in London I have been out quite a lot more in the evenings and I rarely have the time to do any housework. The washing up is the most I can manage and even that is a stretch! I wanted someone reliable to help me with the cleaning and I'm very pleased someone recommended StreathamCleaners to me. The cleaners they send to my home work very fast and they get everything done in one visit - and I mean everything. They don't just vacuum, dust and go, they get the surfaces wiped down and polished and clean the ovens and shower tiles. I've tried my hand at house cleaning a couple of times and I have to be honest: I hate it. I ended up breaking a window once and twisted my ankle another time. It certainly is much tougher than it looks, and this time I decided not to take any chances and called StreathamCleaners instead. With an impressive array of house cleaning services, this cleaning company does all the work and you only have to choose between the different options. I really couldn't be happier with the results. I applaud them for a fantastic job and will be counting on them from now on. I was thoroughly impressed with the work that StreathamCleaners did - they not only did a fantastic job with the cleaning of the house, but their prices really took me by surprise. A complete cleaning job was about a third of the price that I thought it would be, and that's just staggering in my opinion! The cleaner knew exactly what she was doing, and had all of the right materials. My house looks great, and doesn't have that strange after smell that you get when too much cleaning fluid is used. Overall; five stars and a confident recommendation! StreathamCleaners was recommended to me by a work colleague when I mentioned I was struggling to get the house cleaning done recently. I've been doing a bit of overtime and was knackered by the time I got home. So hiring a cleaner was brilliant for me and from this company they did everything I could have wanted. I know it's a cliche but nothing was too much trouble and I can understand why my work colleague recommended them. So I would just like to thank everyone involved and also take a moment to recommend this firm to other people who are looking to hire a cleaner. I have a small warehouse from where I run my business. From time to time I have a good cleanup to get it looking good again. I had noticed that this time everywhere was looking grubbier than it has been previously. It was then that I thought about using the services of a professional industrial cleaning company to take it on. I called the first one that caught my eye. StreathamCleaners was my choice and I have no regrets at all. They are true professionals with prices that are very competitive. I have booked them to come in on a monthly basis as I am so happy with their work. I'm very happy with the windows cleaners that I hired from StreathamCleaners. I wanted to change to a different window cleaning service after a bad experience with my previous hired help, and I'm glad that I chose this company instead. This company provides excellent customer service and the cleaners all go out of their way to provide a high standard of cleanliness. My windows are crystal clear and no matter how hard I scrutinised them I couldn't find a single smudge or smear. This is a wonderful service and very affordable too - I've been telling everyone I know to give them a call! I had let my home get quite messy but it was nothing I couldn't live with though. This changed however when I was told that my parents were visiting for the weekend. My mum was always a stickler for a clean home so I needed to get to work quickly. Knowing I couldn't do it alone I called StreathamCleaners. They sent around a cleaner who was able to help me with every chore and gave me a great cleaning result. All mess, clutter, stains and dust were gone by the time my family arrived. My mum had never been as impressed with a clean house, so thanks to StreathamCleaners.